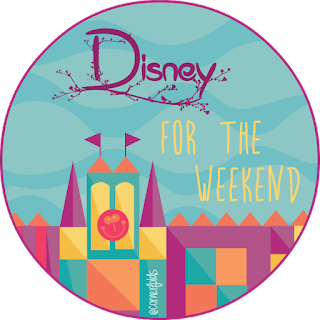 It has been way too long since I've done a Disney feature on this blog, but never fear! I'm back with all the Disney goodness. Specifically, Disney dessert goodness. Oh yes, friends. Today I'm going to review two Disney World dessert parties and tell you which one I liked more and why. You should probably bring cupcakes. Last week my husband decided we should go do something special together and, obviously, Disney was involved. In May 2015 he went to the IllumiNations Sparkling Dessert Party by himself while we were on vacation in Orlando (back before we moved here). I had gotten really sick and had been stuck in bed for the entire day. I cancelled my ticket but insisted he should go instead of being confined to the room as well. He went and he loved it and so he wanted to take me! We arrived to Epcot on Thursday evening around 7pm. We knew check in was at 7:45, but we moseyed over to the roped off fireworks viewing area at 7:30 where we found out that the party had been moved indoors because of possible rain. And that was when I totally freaked out! See, I'm kind of obsessed with behind the scenes Disney. Recently I had noticed what looked like a mountain on the Epcot skyline near Canada and had done some digging. I'd discovered that this was a giant tent known as the World Showplace, which had been put up back in 2000 as part of the milennium celebration. Rather than taking it back down, they just left it up behind the scenes to be used for special events. Since discovering this I had wanted to find a way in, but I didn't think it would be this easy! We walked straight over and, after walking through some giant gates I'd never noticed before, stood outside with the other people who had already gathered. The inside was gorgeously decorated! It was dark with chandeliers and projections on the walls. Tall tables decorated with long blue tablecloths filled the room, so no seating was available. My husband immediately headed straight to the food tables while I snagged a table for us to stand at while we enjoyed the party. My husband decided to sneak off around the corner to scout out some more of the building (tent) that was blocked off because we're nosey like that. He was excited to report that the bathrooms were the biggest he'd ever seen and he also said that the blocked off side of the room was as big, if not bigger than the side we were in. Quite an impressive building(?) hidden back behind the World Showcase! I just wish I had gotten a chance to see it as it was originally intended. The offerings seemed great to me! There was a variety of desserts available including warm brownies with ice cream, baklava, rice krispy treats, pretzels with hot cheese, chocolate ganache tarts, as well as other delicious treats! Because this is the "sparkling" dessert party, there were also two sparkling wines to choose from (one dry, one sweet) and two syrups that could be added (rosé and pomegranate). While I enjoyed the desserts that were available, my husband was actually a little disappointed. According to him (and some other reviews I've found), several more unique dessert offerings were missing and had been replaced with more generic desserts. Not something a one time guest would notice, but it was definitely something my husband picked up on! After the desserts, we made our way out to the roped off fireworks viewing area in front of the World Showcase Lagoon. The viewing area was perfect! It's an area I've often envied when I've been around for the fireworks and this is the only way to get it. 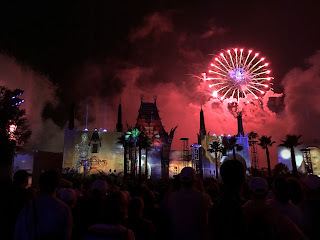 The show, IllumiNations: Reflections of Earth, was amazing as it always is. Illuminations is not my favorite Disney fireworks show, but it is gorgeous and thrilling to watch! Overall, I really enjoyed the IllumiNations Sparkling Dessert Party! I'm a champagne lover, so I really enjoyed a lighter drink with my party. The deserts were enjoyable but I wouldn't call them fantastic. At $50 per person, I'm honestly not convinced I'd do it again. Instead, I might just make a FastPass for a comparable fireworks viewing area and grab a dessert and a drink from the World Showcase! On Sunday night, just three days after the Epcot dessert party, my husband made reservations for another one. This time we were going to Hollywood Studios and Star Wars was involved. I didn't know much beyond that and I didn't do any digging for spoilers! We arrived around 7:30pm and rode a few rides before checking in at 8:15 at the Disney Junior building next to the Launch Bay. We tried to check in early approximately 13180 times, but they wouldn't budge! We did get to watch some Storm Troopers roaming around in the meantime and we also played some Disney Infinity in the Launch Bay, so that was a fun time killer. Like last time, we had been moved in because of rain, which I'm honestly okay with because Florida summer. Similar to the Epcot party, this one was set up with tall tables, this time in red and black. I did notice some handicapped tables this time to accommodate wheelchairs. Again, the room was dark, which gave it a fun ambiance. They also had music playing from all the Star Wars films! There were various Star Wars decorations around the room, which added a nice touch! The Disney Junior stage was, you know, not very Star Wars-y, but I was totally fine with it if it meant staying out of the rain. At this party you could tell that a lot of the people were huge Star Wars fans and were there mainly for that experience. It was kind of cool to be in a huge room made up mostly of nerds. I also noticed that the crowd was slightly smaller at this party as well. The food was totally to die for!! The thing we were most excited about on this night was the one thing we'd heard about already - freeze dried Nutella. There was some kind of Star Wars name attached to it, but my husband just kind of ran up to the table and asked for "The Nutella." They knew what he meant. I loved that all the desserts were Star Wars themed! 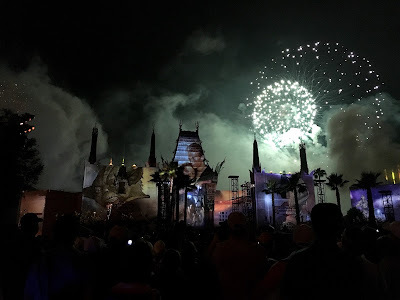 There were BB-8 and Darth Vader cupcakes, Darth Maul eclairs, Death Star chocolate cake, Yoda pistachio cherry bites, galactic warm space debris bread pudding, and the list goes on. There were also some savory options including C3-PO crackers and scorched pesto crisps, among others. This party included a bar with mixed drinks in place of champagne. My favorite was "The Force," a pomegranate lemonade with bourbon. Again, we headed to the roped off area for viewing the fireworks. I had never seen this show before, so I was really excited!! 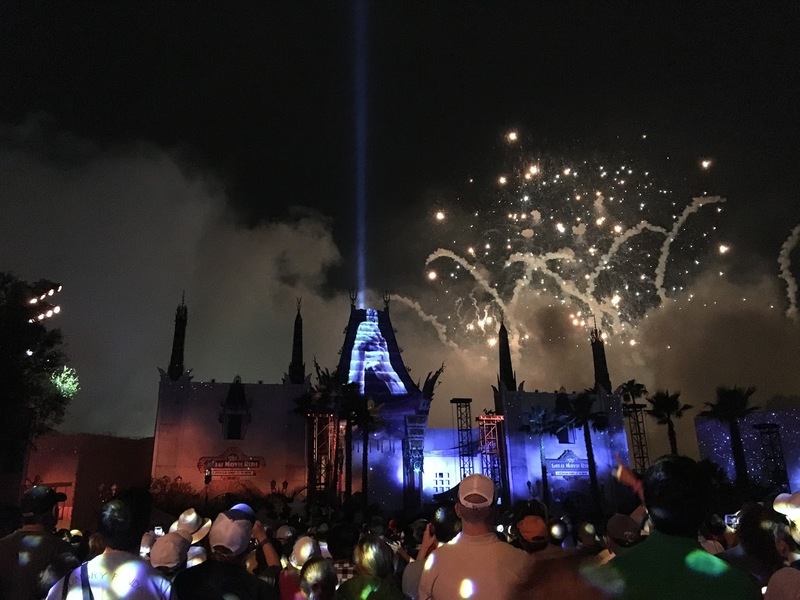 There was also a projection aspect where different Star Wars scenes were projected directly onto the Chinese Theater. This show was SO cool!! 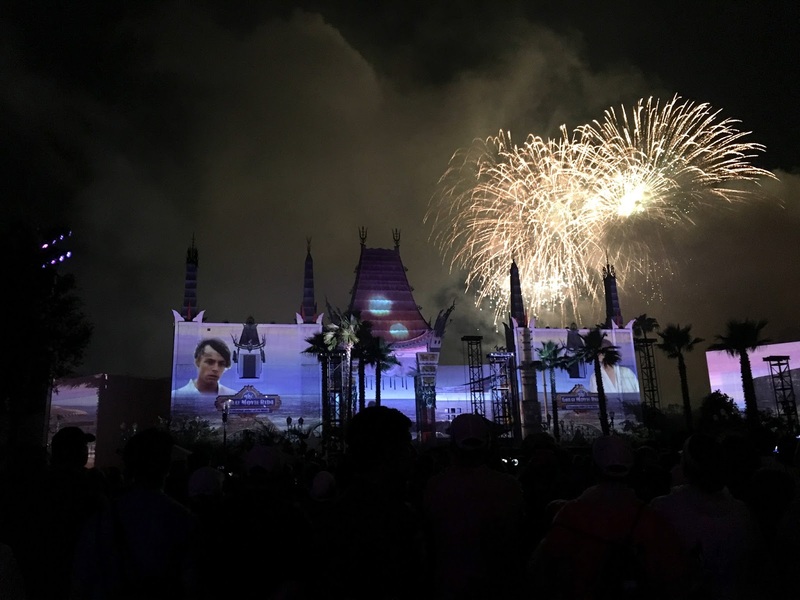 Scenes were projected and matched to the fireworks from all seven films. There were also lighting effects over the crowd that tied in to the show. I actually think this has replaced Wishes as my favorite fireworks show at Magic Kingdom! At $70 per person, this party is not cheap, but I think it was totally worth it! The desserts were delicious and there was a huge variety and the drinks were also really great. If you're on the fence about which party to go to, I definitely recommend this one! I'm sure we'll be back sometime too! Here are some extra photos!